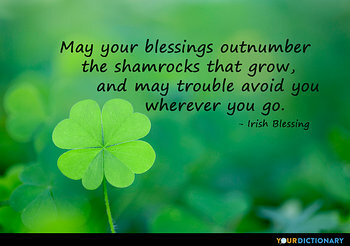 May your blessings outnumber the shamrocks that grow, and may trouble avoid you where you go. 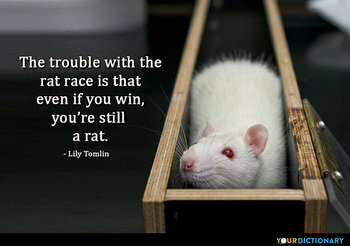 Don't go to great trouble to optimize something that never should be done at all. Aim to enhance total systems properties, such as creativity, stability, diversity, resilience, and sustainability–whether they are easily measured or not. If you go over desert and mountain, Far into the country of Sorrow, To-day and to-night and to-morrow, And maybe for months and for years; You shall come with a heart that is bursting For trouble and toiling and thirsting, You shall certainly come to the fountain At length, to the Fountain of Tears.  A. W. E. O'Shaughnessy, The Fountain of Tears. That’s the trouble with people like them, I suppose; whenever you think you’re detecting the first signs of them starting to behave responsibly, it’s just them being even more devious and underhand than usual. Grammy Flash always used to say, the trouble with "an eye for an eye" is that everyone ends up blind.  The Flash, Justice League: Unlimited.  1954 Company Manners,'The Spirit of The Age'. I'm very well liked in Hartford. You know, the trouble is, Linda, people don't seem to take to me. The head must bow, and the back will have to bend, Wherever the darkey may go; A few more days, and the trouble all will end, In the field where the sugar-canes grow. A few more days for to tote the weary load, No matter, 't will never be light; A few more days till we totter on the road: Then my old Kentucky home, good-night!  Stephen Foster, My Old Kentucky Home. As quoted at Anthology of American Poetry, by George Gesner, (1983).